After my review of the True Blue collection, I was inspired to do a little nail art. I went with an oceanic theme, and used the polish called Barrier Reef Coral as the base. I hope you enjoy it! 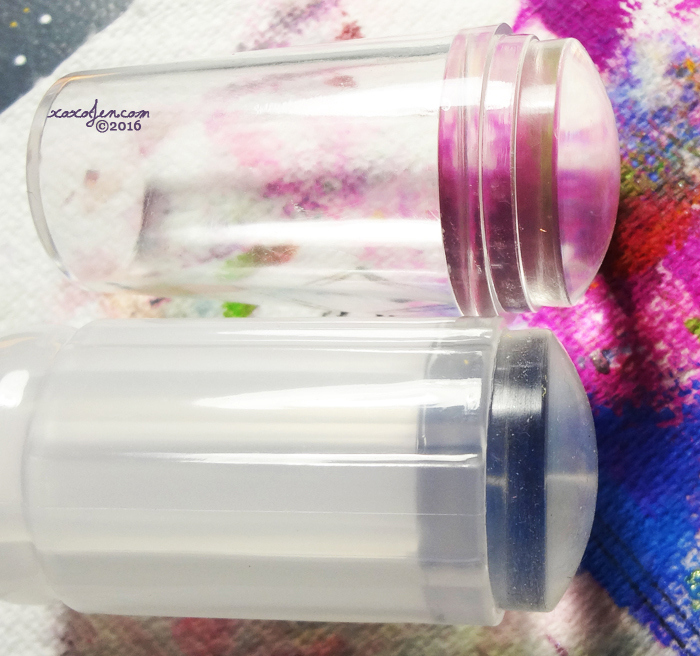 To stamp, I used my clear jelly stampers from Aliexpress. They are fairly squishy and have clear handles - such a brilliant idea! I especially like that the one came with a cap. Stamping was done with Mundo De Unas stamping polishes. What do you think of the sea life motif? This manicure is cute! :) That clear stamper looks to have really helped with the placement of the images too. Thank you! and yes, it definitely does help with placement! Of course! That would be so fun! 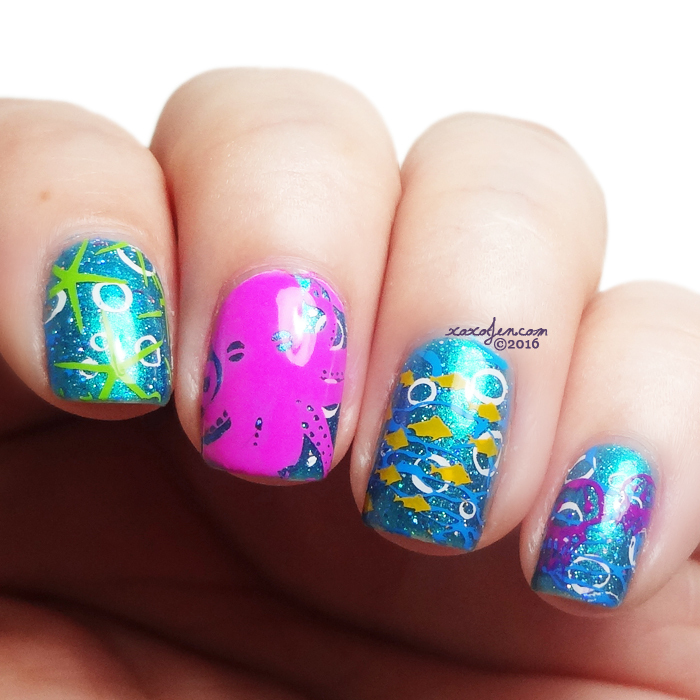 I love that fish nail and I have to get a clear stamper soon. Super cute! I love ocean life. That Octopus is one of my favorite stamps! I love how vibrant this mani is. So fun and much needed after a long winter! Thank you! I agree, I'm so ready for spring and summer to be here! Oh! Those tiny little fish are so cute!!! Thank you! When I spotted them on the plate, I knew they were going to be included! Oh my gosh it's so adorable! Makes me ready for summer haha. So cute, I love that little octopus!! This is too cute. I feel like I'm scuba diving. This is super adorable! What I wouldn't give to be at the beach right about now! Thanks and I'll second that beach wish! 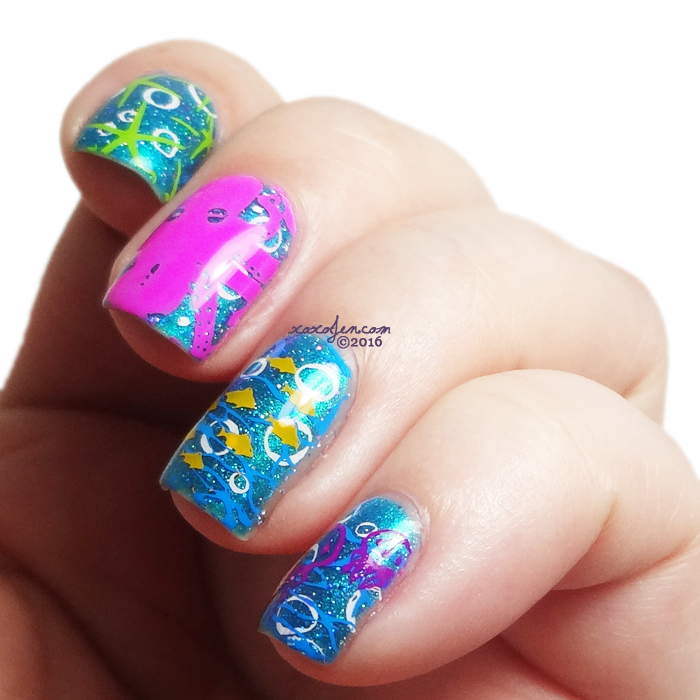 This is amazing, I love the vivid stamping, it really pops!